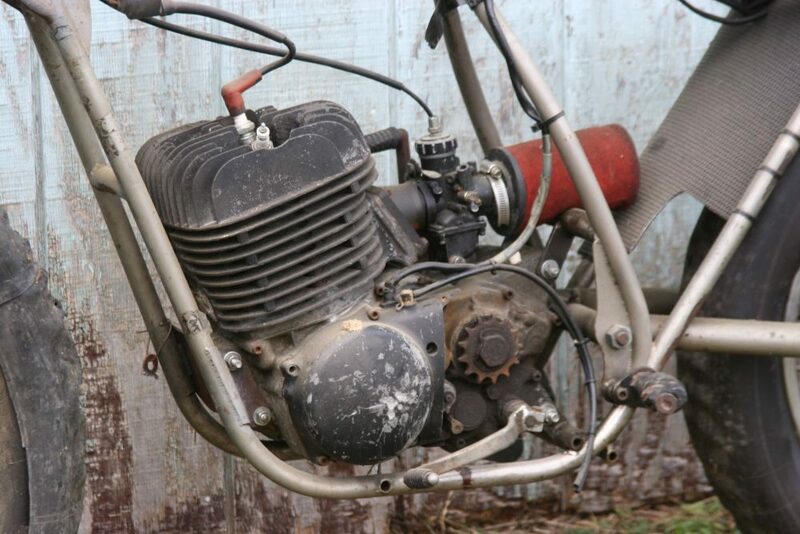 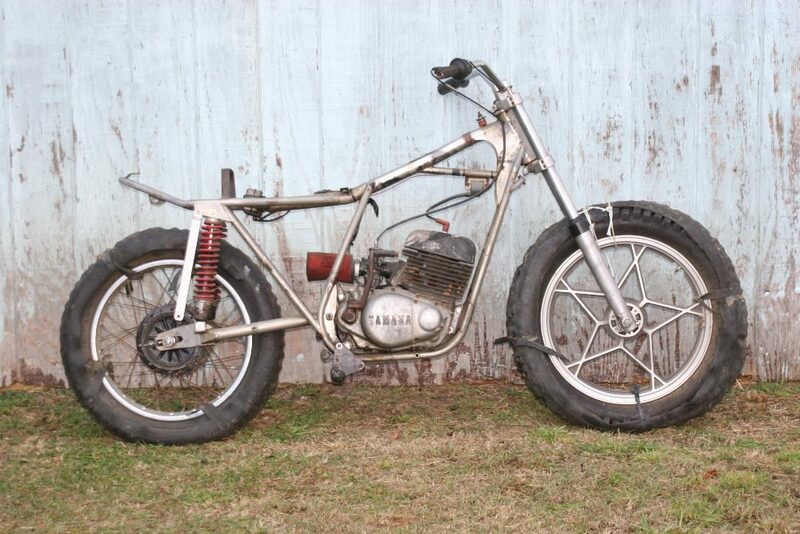 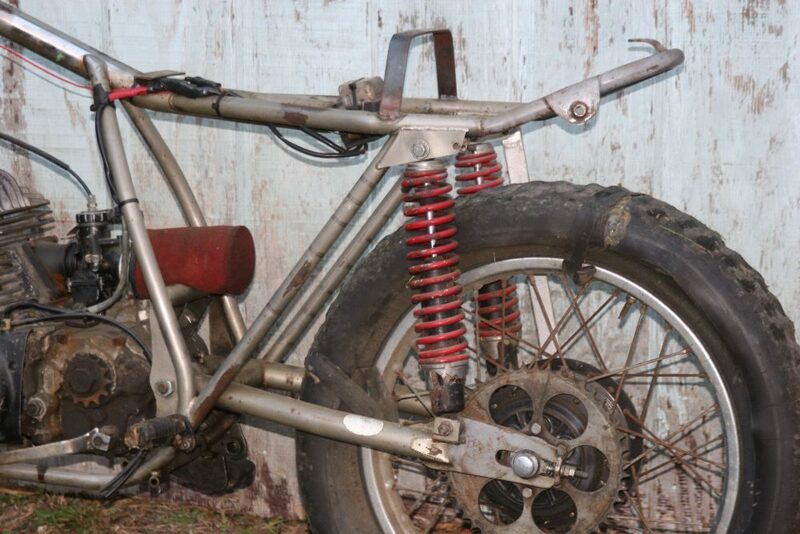 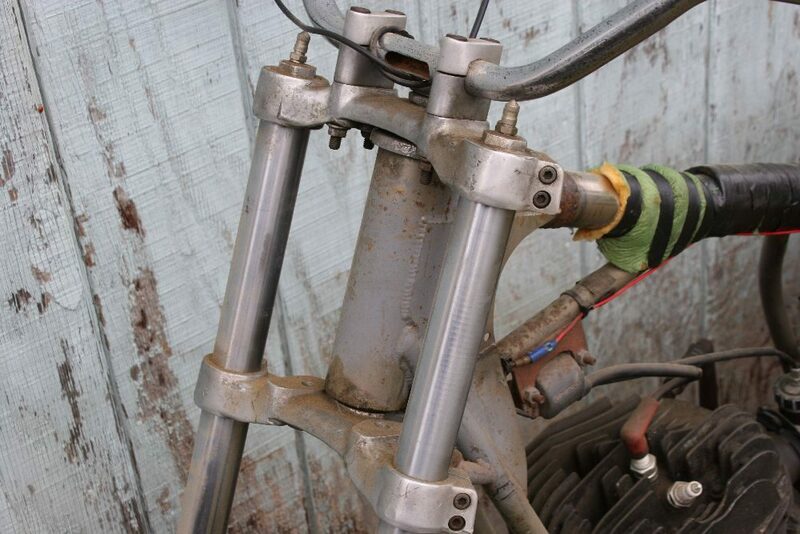 Red Line Vintage Flat Track project bike. 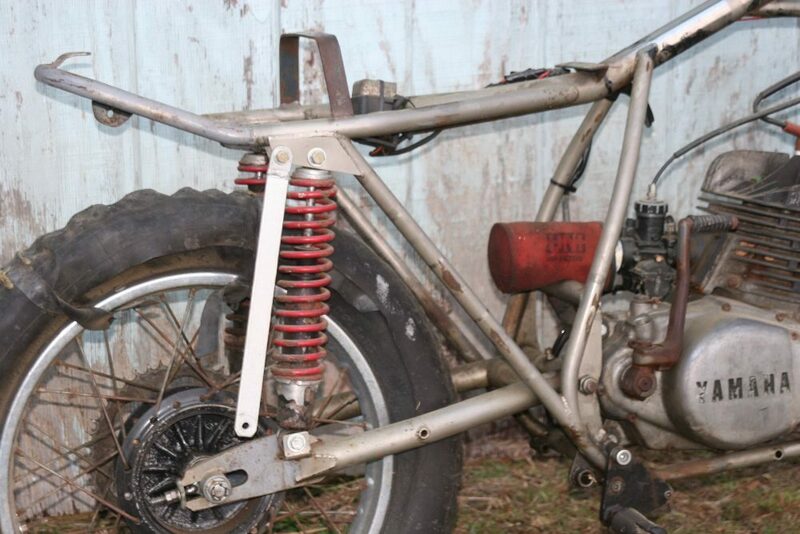 Red Line frame in good condition has been de-raked. 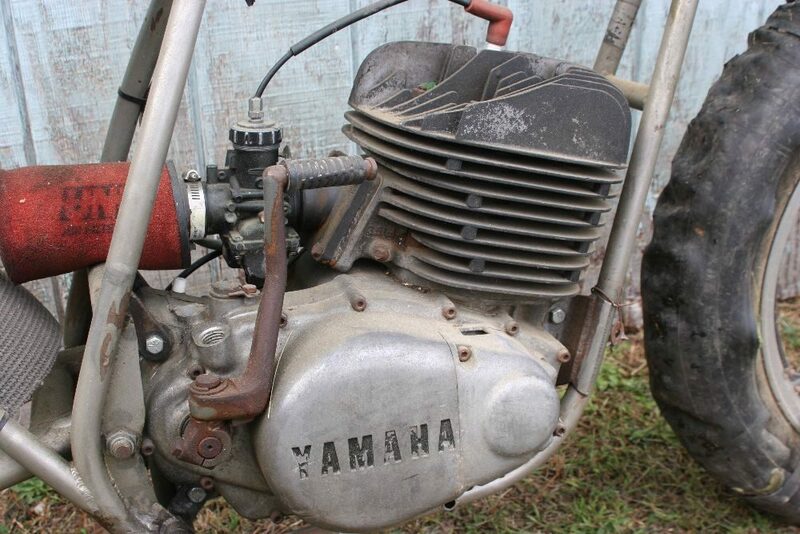 1974 Yamaha DT360 motor is stuck. 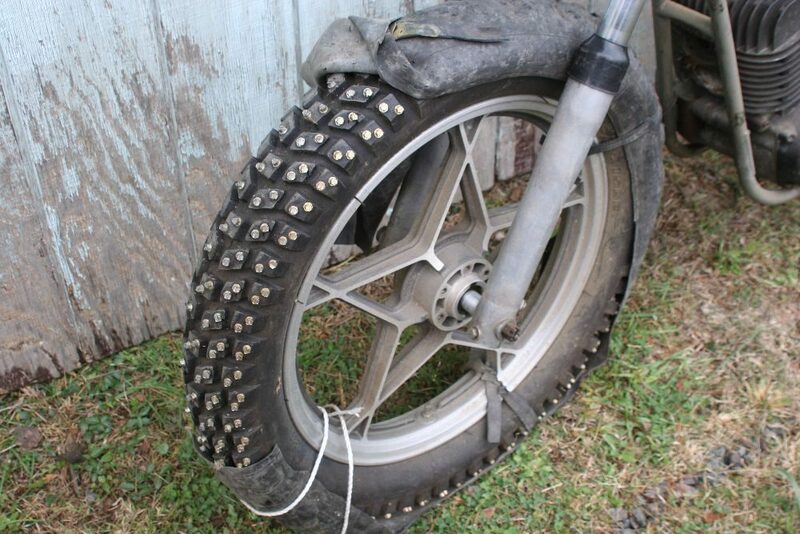 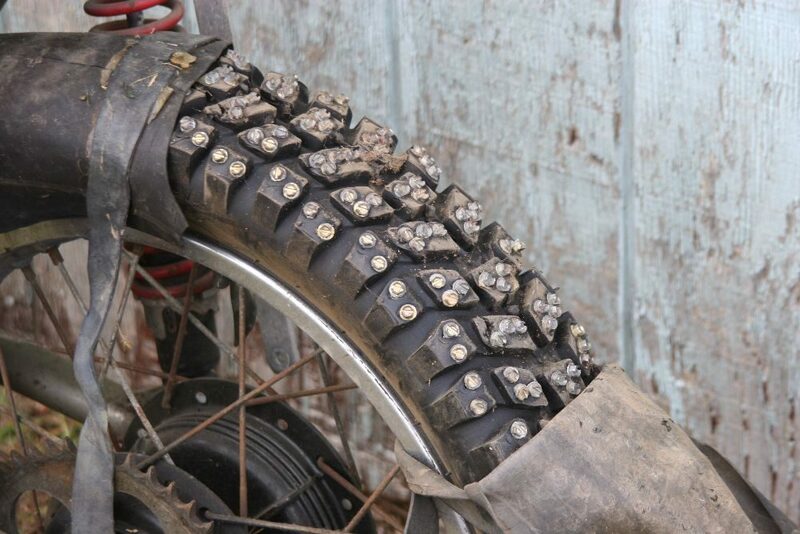 Has ice racing tires on it, 19″ front and 18″ rear. 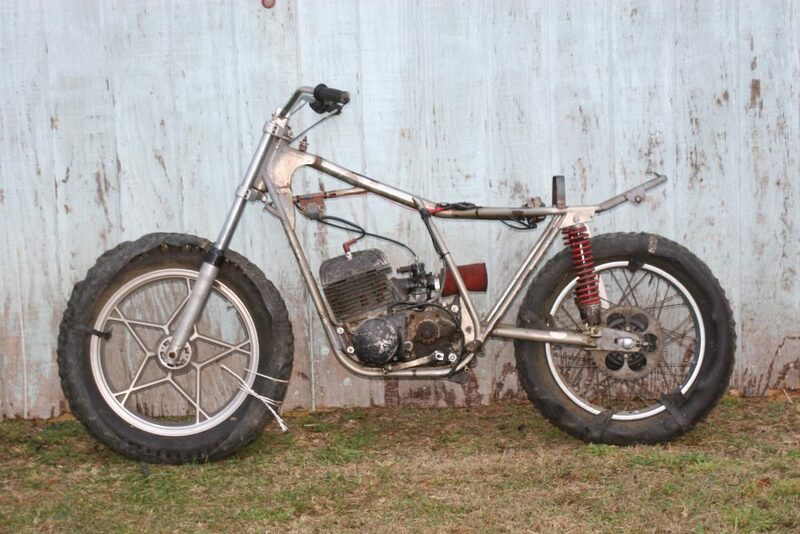 Nice triple trees and Betor forks.